“Do not be conformed to this world,” we are instructed by Scripture, “but be transformed by the renewing of your minds, so that you may discern what is the will of God—what is good and acceptable and perfect,” (Romans 12:2 NRSV). Society often seems to try to separate us from one another. News media and politicians play on our fears to get ratings or get votes; television shows and movies often rely on stereotypes to play on the viewers’ emotions. Entire neighborhoods are classified as “good” or “bad.” The world would have us segregated, fearful, distrustful, suspicious. Yet God calls us to something not only different—but transformative. We are transformed in our relationship with Jesus Christ, restored to right relationship with God. We are transformed in our relationships with one another: as the Nguni Bantu term Ubuntu describes, “I am because we are.” We transform our society as we take one another into our hearts and experience one another’s experiences as our own. 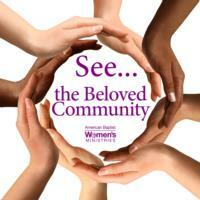 We are called to be the Beloved Community. “The cross is the eternal expression of the length to which God will go in order to restore broken community. The resurrection is a symbol of God’s triumph over all the forces that seek to block community. The Holy Spirit is the continuing community creating reality that moves through history,” Martin Luther King, Jr. (Stride Toward Freedom, 1958).